Let's start the new year by folding a 2011 calendar. 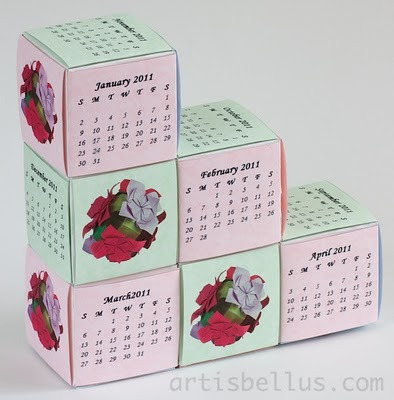 This calendar is made of business cards cubes. You'll need 6 business cards for each cube, 36 business cards in total. To cover the exterior faces of the cubes I used color copy paper where I printed each month calendar and some pictures. The business card cube is a traditional model. The method of assembling several cubes is attributed to Jeannine Mosely, who constructed a level three Menger Sponge from business cards in 1995. Her instructions for building and joining the business card cubes can be found here. The template I used for the exterior faces is available here. I built the calendar with cards that measure 3.5" x 2.13" (90mm x 54 mm), so you may need to adjust the template if you are using cards of different size. This is a good way of recycling your old business cards. If you don't have business cards available, you can also use old metro cards, or just cut rectangular pieces of cardstock. To cover the cubes you can also use pictures from magazines or family pictures. Just keep in mind that the cards and the covers must be rectangles of the same size. 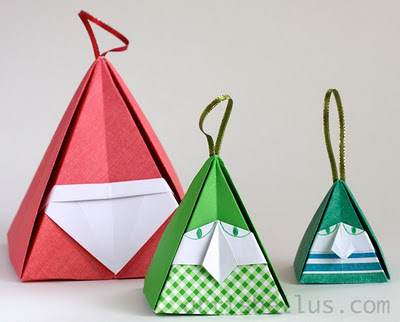 This is an easy project and it's very fun to fold. There are many other cube configurations that you can try for your calendars. My best wishes for 2011. Happy new year! Hi Marcela, I love this idea for a calendar. Nice and easy! 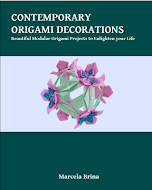 Happy and creative New Year! Thank you Leyla! Happy new year to you too!